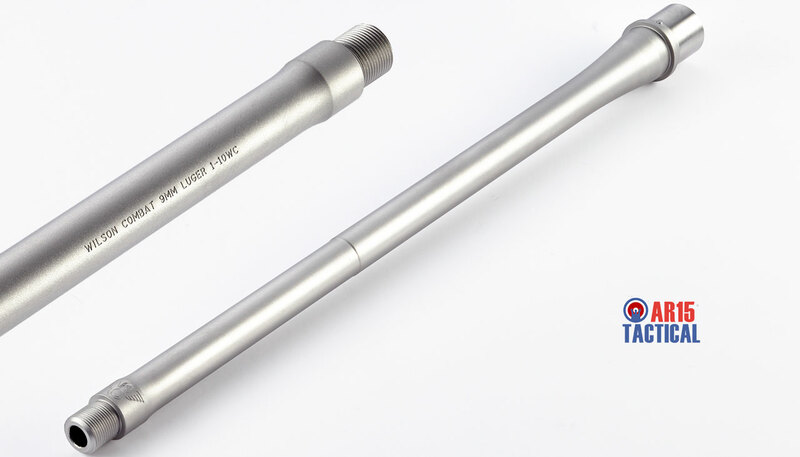 BSF Barrels builds their 9mm Luger AR-15 carbon fiber barrels with the same care that goes into a top-quality match barrel to ensure that you’ll achieve the best possible accuracy from your AR pistol, SBR, or carbine. All BSF barrels are turned from ordnance-grade 416R stainless steel, then given a roll-wrapped, tensioned, carbon fiber sleeve. The sleeve keeps weight down while providing excellent rigidity, plus enhanced cooling. BSF uses this sleeve method on their 9mm Luger AR-15 barrels rather than simple carbon fiber wrapping because they believe wrapping traps heat and is prone to delamination. Further, BSF uses a special carbon fiber that expands at the same rate as 416R, and holes drilled into the jacket allow air to circulate around the barrel and vent heat quickly. 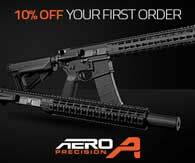 Less heat distortion means far less risk of accuracy fade as your 9mm chambered AR-15’s barrel heats up. 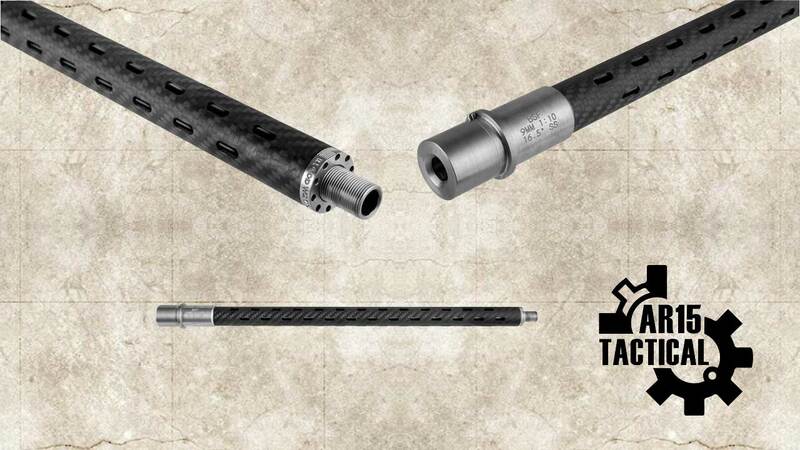 From the manufacturer: After turning down the barrel, we jacket a 416R Stainless steel match barrel in a roll-wrapped carbon fiber sleeve and load it under tension. We use this jacketing method rather than wrapping the barrel in carbon fiber because this method of wrapping has been proven to trap heat and cause delamination. The carbon fiber we use is specially designed to move at the same expansion rate as 416R stainless steel. We machine slots into the carbon fiber allowing air to move around the barrel and vent heat quicker without any delamination issues. Using the Carbon Fiber this way keeps the rifling straighter the warmer the barrel gets because it’s under tension. 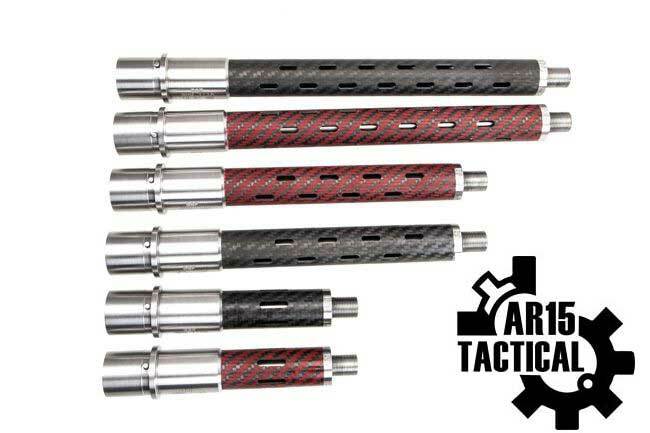 This allows us to maintain superior stiffness and strength while keeping the barrel extremely lightweight. Threaded 1/2×28 instead of 1/2×36 to give you greater versatility when choosing a suppressor. IMPORTANT: A standard 1/2×28 flash hider will not have enough clearance for a 9mm round to pass. 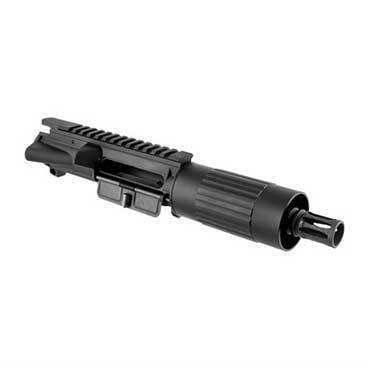 You must use Ballistic Advantage 9mm AR15 Barrels less than 16″ in length with a lower receiver that is a Registered SBR, Machine Gun, or Pistol. Possession of a Ballistic Advantage 9mm AR15 Barrel less than 16″ inches in length along with a Non-NFA lower receiver is Prohibited, except when installed on a Pistol configuration firearm.